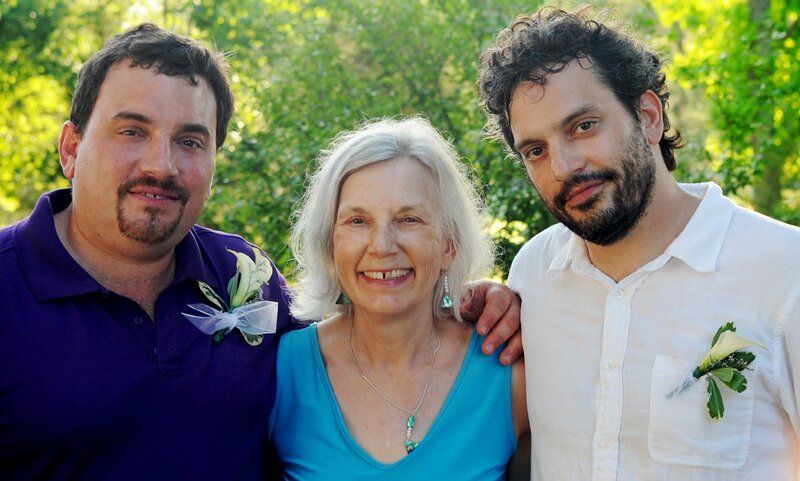 January 28, 2014 – It is six months to the day since Mother passed away. I feel melancholy now. Maybe the cold weather has something to do with it, but more and more I miss the warmth of our Saturday morning long-distance phone calls and sitting around her dining room table, the tingly warmth of homemade vegetable soup in my belly. Elaine and I definitely differ in our world view and philosophy of life, hers based on Jungian psychology and meditation, and mine with a distinctively Christian perspective. Yet pain is pain, and we share the intimate, human experience of grief. MB: How did your mother’s passing in 2007 affect you and Vic? EM: My mom had Alzheimer’s Disease for twelve years. Her body was curled in a fetal position and her eyes were closed. She had been unresponsive for years. She died quietly during a lull in Vic’s cancer treatment, so grieving for my mother merged with anticipatory grief for Vic. MB: Why did you write Leaning into Love: A Spiritual Journey Through Grief? EM: At first, I wrote to digest and understand what had happened. When times are rough, I pay attention to life’s lessons. Writing was my way of doing that. During Vic’s illness, I kept journals so I could remember every detail during an emotional time. Five years after his death, my experiences became a book to help others deal with love and loss. I also hoped to create an engaging memoir that would interest any reader. MB: What is the main theme of your book? EM: The book is about a strong marriage and the initiation of losing a trusted partner: dissolution of the old order, then a period of confusion and despair, then a slow return to new life and possibility. MB: In the book you promise your dying husband of 42 years, “I’ll find a way to be all right.” What lies behind this statement? EM: Vic and I shared every joy, sorrow, and dream. We’d had an intimate relationship since I met him when I was 21. He was concerned about leaving me and concerned about my grief. Even while I did all I could to help him live, I felt determined to find a way to make life work after his death. He was relieved when I said so. Of course, I had no idea how challenging that would be. MB: Just like in your blog posts, you use poetic language in your book to describe bereavement and your slow recovery. For example, you describe a group of dolphins as “luminous revelations leaping from the great unconscious sea.” What other descriptive lines from the book are you especially proud of? MB: What will readers learn from the book? What is the take-away? EM: Everyone loses things they love—people, jobs, homes, health, dreams. It’s natural to grieve and long for what we cherish. I’ve learned that facing our losses and sorrows makes us more realistic and open-hearted human beings. We understand what matters in life and see that everyone suffers. In this way, sorrow leads us to kindness. MB: Your book attracts readers who have dealt with or are now dealing with loss. What is your best advice to them? EM: Experiment and find what comforts you: solitude, friends, nature, music, therapy. The smallest rituals helped me. I left flowers at the gravesite and said prayers there. Writing brought me daily comfort. Watch for small signs of joy and hope. A bird chirping. The first spring flower. A child’s laughter. Grief is part of life. Give yourself time to feel what you feel. Open to grief and let it open your heart to love. 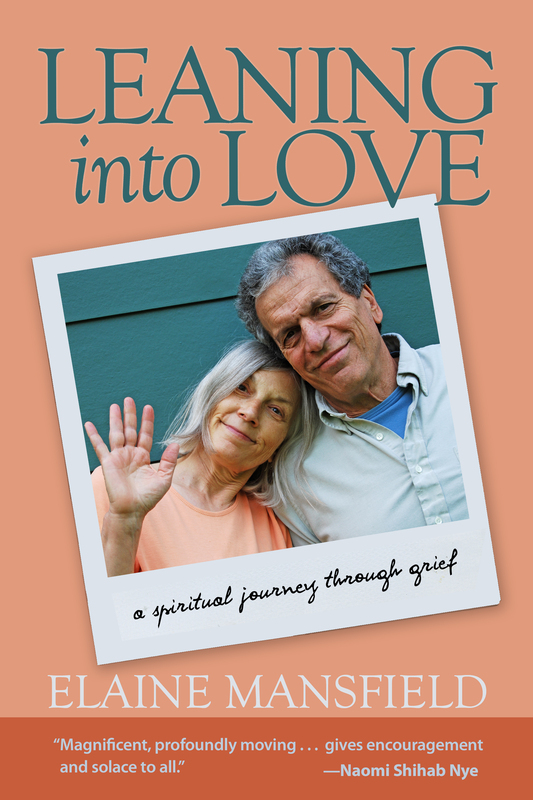 Elaine Mansfield’s book Leaning into Love: A Spiritual Journey through Grief was published by Larson Publications (October 2014). Elaine writes from a spiritual perspective that reflects over forty years as a student of philosophy, Buddhism, Jungian psychology, mythology, and meditation. Elaine gave a TEDx talk called “Good Grief! What I Learned from Loss” on November 8, 2014 with TEDx ChemungRiver at Corning Museum of Glass in Corning, NY. After a career as a health counselor and writer, Elaine’s work has focused on bereavement and loss since her husband’s death in 2008. Elaine facilitates bereavement support groups at Hospicare and Palliative Care Services in Ithaca, NY and writes for the Hospicare newsletter and website. She also writes a weekly blog about the adventures and lessons of life and loss, leads workshops, and lectures on bereavement topics. Her articles have been published in The Healing Muse, Open to Hope, Shambhala Sunspace, KirstyTV, Caring.com, Alzheimers.net, GriefHealing, and elephantjournal. “Reading this beautiful memoir of love and loss and triumph felt to me like a sacred journey into the very heart and soul of the courageous woman who writes it.” Marty Tousley of Grief Healing. How about you? How have you dealt with grief over the loss of a loved one, mother, father, life partner, close relative — a pet, even? It seems unreal that it has been 6 months already since your dear mother passed away. You are blessed to have such wonderful memories. This book sounds like a good resource for those grieving. Thanks for sharing. Elaine\’s book is a good resource but so are many others. Hers stands out because it is such a candid, personal story told with an observant, loving eye to detail. Darlene, I responded to your comment but apparently didn\’t do it in the right place. It\’s higher up in this list. Thank you and sorry for creating disorder. I\’m so sorry again about the loss of your mom, Marian. I know you miss her. My husband and I have both lost our fathers. I wish my father had lived to see our daughters grow up. I know he would have been so proud of them. Elaine has said \”Love and grief are a package deal.\” It\’s not possible to have one without the other. When we lose a loved on we search for their legacy in our own lives and our children\’s too which you are seeing in your daughters. Right now we are observing some positive traits of Grandpa Beaman in his grandchildren. He died just last Saturday. And Grandpa is gone, too. I\’m sorry, Marian. 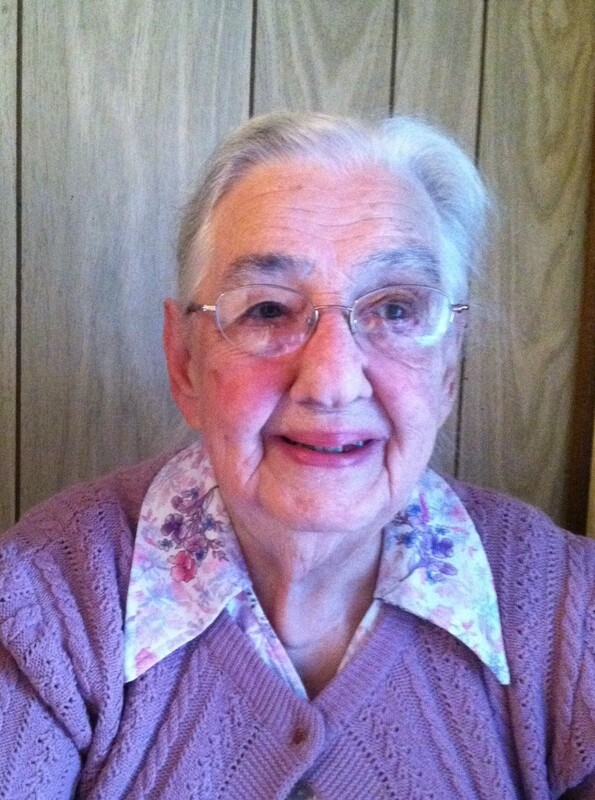 I\’ve lost all the generation older than me, except Vic\’s mother who turned 99 last week. I love noticing how much my sons are like their dad. My dad died when I was 14, so I\’m glad my sons got to know their dad as adults. We always talk about my husband. We create little rituals together to remember him or walk together to the place where his ashes are buried. They have been a big help in keeping the love alive. There is always one person who seems ordained to carry the torch for the family, and it is obvious you are it! Your sons carry on your legacy too and possibly write about it or record it in another way from their point of view. I\’m sorry to hear that you have lost all the generation older than you are. 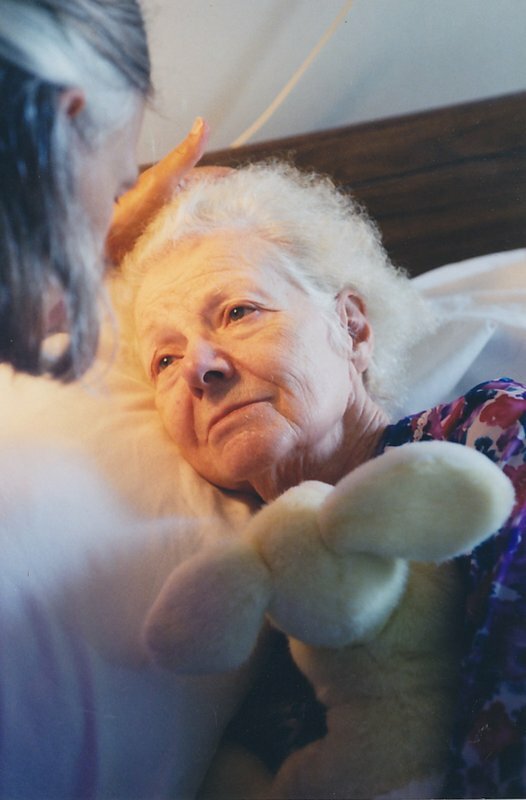 We still have Aunt Ruthie and though she suffers from Alzheimer\’s, she does have lucid moments to cherish. I\’m writing down snippets when I visit or talk to her on the phone. Sorry again for another loss in your family, but I\’m glad you\’re able to see positive traits and a legacy in them. 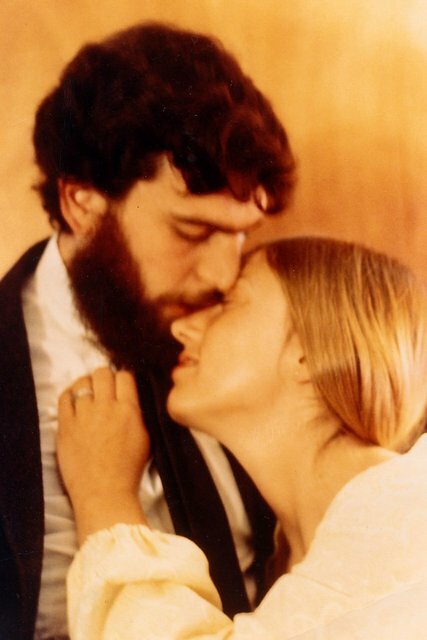 When my parents were the age I am now, I was so worried they would die and I wouldn\’t be able to accept it. I was scared! I hadn\’t lost anyone close to me. Even with my personal faith in Jesus Christ I worried I\’d not be able to accept the death of my parents! (They were also born again Christians.) I enrolled in a \’death and dying\’ class and it helped me so much. I can\’t remember all of it, but there are parts that really affected me. A walk through a cemetery and writing my thoughts. A visit and tour of a funeral home. Reading \”On Death and Dying\” by Kubler-Ross. Writing my own obituary. Now I\’ve lost both parents, at ages 96 and 99, and my only sister, at age 76. I\’ve also lost other relatives and friends, even a few close friends. It\’s still not easy, but I\’m able to accept it. Reading books like \”Leaning Into Love\” by Elaine Mansfield would be a great help to someone struggling with grief. Thanks for sharing! I see you paired reading with writing – and bravely visiting the cemetery and funeral home in preparation for your own death, things that many people shy away from. Thank you for beginning the conversation today, Anita. Well, the visit to the cemetery and the funeral home, writing my own obituary, all the things I listed were assignments for the class I took. I suppose it did help me get ready for my own death, but that wasn\’t the purpose! The purpose was to help me accept my parents deaths and others, as well. It was quite a class and I\’m glad I took it. It helped me accept their deaths but not with the grieving. An excellent class, Anita–if you ask me. While my husband was in the hospital, I took long walks while he napped in Mount Hope Cemetery in Rochester, NY. I looked at the dates and names on old tombstones. I also admired the huge oak and maple trees and flocks of cackling crows. I felt how my/our experience, hard as it was, was part of the natural order of things. I think grieving goes on even with acceptance of loss. I still feel a soft longing for my husband. I\’m happy when he shows up in a dream. I often want to talk with him. And I\’m doing fine without him at the same time. Thank you, Elaine, for commenting on my comment! I\’d like to read your book. I\’ll look for it. Is it by any chance on Kindle? Yes, it\’s on kindle or paperback. Available lots of places, including Amazon. I\’m happy you\’ll have a look at Leaning into Love. Those regular phone calls–which are routine and non-spectacular in conversation or content–will surely be what I miss when my mother goes. A long time from now, I hope! But you caught me on the phone calls: I know I enjoy having her to call, and won\’t have that same sounding board. Thanks for your review/interview on something that touches us all. Bless you as you remember and just sit with the melancholy a bit, I suppose it is only natural. Though I don\’t need permission to \”sit with the melancholy a bit,\” I appreciate your mention here. Someone once wrote that she liked that her friend, sensing her sad mood, didn\’t try to push her to \”happy\” right away. Mood fluctuations are all part of the grieving process and particularly of the human condition. Oh, my – I\’ve lapsed into philosophical again! Yes, I hope you have your mother as the sounding board for many years to come, Melodie. Thanks for your comment, Melody. It helps us appreciate phone calls when we allow ourselves to accept that nothing on this earth is forever. I find this true when my sons call now. My husband was always a loving man, but he actively took on the practice of kindness during his illness. We were surrounded by worlds of loss, not just ours, and we knew everyone had to deal with trouble and loss. Dear Marian and Elaine, this beautiful interview highlights the valuable takeaways from LEANING INTO LOVE. Love and grief are intertwined for all of us. I just finished reading Elaine\’s heartwrenching and powerful memoir and am deeply moved. It connected me to the love and grief in my own life and no doubt will serve as a healing balm for all of us when we lose a loved one. Thank you Elaine for inviting us into your sacred space and for showing us it is possible to heal, grow and renew ourselves after loss. I\’m honored to have you as my guest on 2/23. And thank you Marian for this wonderful interview and for sharing your own grief. The photos are heartwarming. Sending blessings and wishes for continued healing to both of you for your deep losses. Elaine has shown us the path from raw grief in the beginning to the precious memories that remain and the sacred spaces in between. Elaine is a consummate artist, both with the camera lenses and compassionate words. I look forward to your post on the 23rd, Kathy. With Kathy, I thank you for sharing your grief, Marian, and opening your blog to this discussion on the sixth anniversary of your mom\’s death. We all lose what we love sometime or other, so it\’s good to find trails through loss and find ways to help ourselves and each other. Writing helped me tremendously, and I had no idea in the beginning that my writing would become a book. I just needed to write. Kathy and I will focus on different things as I understand it, especially what it meant to prepare and give a TEDx talk and how that affected my world as a writer. We are still in the development stage. The TEDx talk was stirring, and I need to listen to it again, both for the wisdom in the speech but for the power of the performance. Some of us try to hide from our grief because it\’s so painful. But in order to get through it, we must sit with the pain and make friends with it. Thank you Marian and Elaine for a wonderful interview. I agree. I\’ve found that if I let grief in, it\’s surrounded by love. And when I let grief have a little space, I get much more space for joy. Mortality and loss are hard, but there are jewels in the experience, too. As a writer, Joan, you would appreciate Elaine\’s eloquent expression of loss. There are many books on bereavement on the market, but like Elaine says, this one is a love story too. I love this Emily Dickinson poem and didn\’t know it. Thank you, Marian. And thank you for so much more. You laid this out so beautifully, on the plain side as fits the topic. And I remember you today and your love for your mom. And thank you, Elaine, for sharing thoughts and feelings many people keep private all their lives, never realizing their release can help others. You can already see how deeply your sharing has touched others today. It\’s been 8 months since my mom died and 5 years since my husband so I read this with personal interest. This is a lovely interview and so much resonated with my own personal experience. Sacred and spiritual no matter what one\’s persuasion, the death of one\’s mother is a loss that goes very deep. My condolences you to Marian and I love the picture of her at the end of this piece. Jill, welcome to our conversation here. You would appreciate reading Elaine\’s book in particular because of your recent losses but also because you are an author too. I appreciate your condolences and for taking the time to comment. I love the picture as well as the poem, Marian. I remember so well when your mom died without much warning and how you handled that with grace. Thanks, Darlene and Marian. One of the things people like about my book is that I paint the details of the times when I lost patience and how we forgave and loved our way through. It\’s taxing being a caregiver and most of us aren\’t 100% angels. I might have forgotten these less than stellar moments since there weren\’t many of them, but they upset me so I wrote about them in my journals at the time. Writing in my journal each day made me remember details of difficulty and great joy, so I could use those in the book. Showing your vulnerability is one aspect of this book that readers really appreciate. Mostly importantly, you wrote about it all, even the upsetting ones, as they happened in your journal. Now that I am writing memoir, I wish I had written more down in a notebook or diary about my childhood. I have suffered the loss of parents on both sides and beloved pets and without doubt it\’s agony but to loose a partner must be the ultimate loss, that and a child of course . I\’m going to give my hubby an extra hug this evening and tell him I love him …he\’ll probably think I\’ve been off with the milkman lol but I shall do it anyway . Make some of that delicious soup for your family that your mum used to make Marian. Keep family recipes going so our ancestors are never forgotten . You are always so practical — and funny, Cherry. Making some of Mother\’s good vegetable soup is a great idea. Right now I have chili on the stove. We all want to hear about your husband\’s reaction, tee-hee! Thank you too for sharing about your losses as well. Cherry, great idea to make favorite recipes the person we miss cooked or loved. It works every time! Yes, give your husband an extra big hug. I remember times before my husband was ill when I whined too much about stuff that didn\’t matter or got irritated over something that mattered so little I didn\’t remember it the next day. I also appreciated him every day when he was here and know I received a great gift of love. My book is about loss because, in most cases, one partner leaves before the other, but I see it primarily as a love story. Wow what a wonderful topic and great comments. My journey of losing my beautiful Linda and 10 months later the greatest women that God has blessed me with has been hard. I find my strength in my Lord. I focus on great times and funny conversations to bring me through. Tomorrow I have court to face the one who took my Linda. Yes it\’s a constant pain. Yet I\’m blessed with great support through my husband children and church family. I\’m blessed to watch and help raise my grandchildren that Linda left behind. Gloria, I\’m so sorry about your difficult losses. My hand over my heart. How wonderful it is that you have so much gratitude for love and so much support from church, family, and God. I don\’t have grandchildren, but many tell me that their grandchildren brought them joy and a desire to live well despite and along with grief. My prayers are with you tomorrow as you have to face the courtroom scene. That has to be HARD. Without your faith and family support it would be well nigh impossible. Thanks for sharing your concerns here. Many people you\’ve never met before will be thinking of you tomorrow, I can assure you. Marian — It\’s thick with fog today; the perfect \”shawl\” for reading (and rereading) this emotionally touching post. I resonated with Elaine Mansfield\’s encouragement: \”Grief is part of life. Give yourself time to feel what you feel\” because in great part, that\’s how I\’ve managed to get through the dark tunnel we call \”bereavement.\” I also find great comfort in my personal belief that birth is not a beginning, and death is not an end. Rather, they are both continuations. Re-birth follows death, a wonderful reminder that no-one I think has mentioned before. Both Elaine (I\’m sure) and I appreciate your re-reading this. She has given us much to think about and a pattern of courage to follow. Thank you, Laurie. Time flies, yet stands still for those in the grips of grief and mourning. I can only hope that the mourning is allowed to take as much time as it needs. How blessed many of us are to have God at our side & loving memories. Thank you for this post Marian .. I have bookmarked to listen to Elaine\’s TED talk ..
I\’m glad you like the post, Susan; I appreciate your commenting here often. The TEDx talk is both a lesson and a tribute, well worth your time. I want to watch it again. Susan, in the depths of grief, I had the sense of time standing still and rushing past at the same time. It seemed my husband had died just moments ago or was it years ago? Time frames are a disservice to everyone. In many ways, my grief is healed, but it\’s always there when I check into my heart and new losses are added to the mix. So I honor and tend a place in my heart, a sacred place, where I hold and remember grief. Sounds like a comforting read – even if there is very little comfort. It\’s good to know we\’re not alone. Ladyfi, readers report that my book is extremely comforting. Same with my blog posts. We can\’t erase the facts of mortality and we sometimes lose what we love, but we can know that love is bigger than grief. I\’ve found that grief is just another expression of love since I wouldn\’t grieve if I didn\’t love. Yes, it\’s good to know we\’re not alone. Sounds like you have experienced a hard loss. I\’m sorry if that\’s true. Thank you Elaine for sharing your story. I\’ve lost my father and one brother. I had to take time out here as usual I tear up when I remember these losses, and others. All my grandparents are gone though I still have some great aunts and uncles, but I\’ve lost aunt and uncles. My husband\’s parents are gone; they died much to young. We were able to move them over to live next door to us and care fore them. My sister lost her husband in a farming accident 5 years ago. Lost a cousin to a heart attack at just 52 a week before Christmas. And my church family lost three the last two months. Three of the older ladies in my homemakers club have lost their husband over the last twelve months. Our group decided to take a 6week care-giving class. Grief is all around us, but so are God\’s arms. Thank you again , everyone , for sharing your stories. So beautifully said: \”grief is all around is, but so are God\’s arms.\” And, yes, we weep and that softens us to the suffering of others. Grief and loss are as much part of life as the easier parts. Grief brings us together in open-hearted community and makes us grateful for life and each other. It seems that your community is strong and sure. What a good idea to take a caregiving class and how comforting to be part of a community that cares. There are deep spiritual lessons in grief, no matter what your religious tradition. It seems to me grief pops up at unexpected times. A tiny thing can trigger a memory, a flower, a view, a song or a few words bring back the loss as if it was new even years afterwards. The more this happens though, the easier it becomes to deal with and its good to know we are not forgetting. I agree, Marie. I try to honor my losses every day through writing about them or lighting a candle or offering a flower near a photo. I want to remember. And when I do this consciously, I find I\’m not so easily triggered because my grief is right there, tucked safely into my heart, knowing I haven\’t forgotten the love. \”I\’ll find a way to be all right.\” There\’s something so poignant about those words, Elaine. Now you are helping others walk the same journey or prepare for it. Marian, your sharing your mother with your readers has made her real to us. You, too, are finding a way to be all right, and your regular blog posts are a little like those regular phone calls you used to make to your mother. Writing is a wonderful way to help us grieve and to prepare for the losses ahead. Your comment clarifies the reality that writing here helps me vent my grief and connect to other sympathetic folks. Worth it all! I agree, Shirley and Marian. Writing helps us digest grief, and sharing our writing helps us grieve in community–the way people always grieved in the past and still do in many cultures. In sharing our losses, we share our open hearts and our love. Thank you. Thanks for sharing this link with me Marian. I noticed the date was just after I moved and took off for winter vacation. You always keep connections hot between you and your readers. I can certainly understand: Our move is taking all of my time and energy. I\’m glad this post meshed so well with your review of Elaine\’s work today. Thank you! Good idea! Our actual move date is next Tuesday, August 9. I have a post in the queue for that week and then, who knows. Actually, I find blogging a calming activity. It feels familiar and stabilizing compared to all the (temporary) craziness & chaos in my real life right now. Besides, I find my friends here, many of whom have moved, most have dealt with sickness, death, disappointment – LIFE! Now tell me again why Marian, Debby, and Elaine aren\’t taking an August break? This week I had something I needed to write about, but after that? I hope there won\’t be another memorial service that puts me through the wringer.